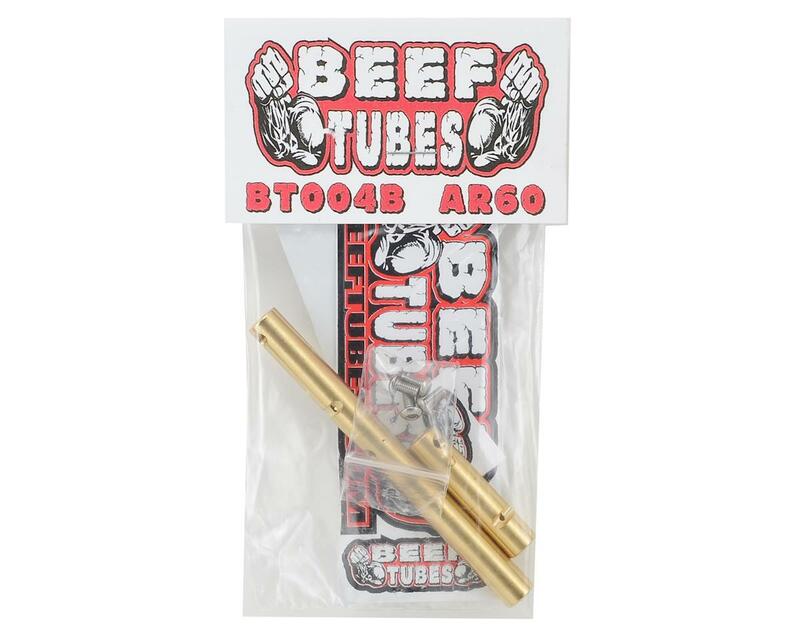 Beef Tubes AR60 Standard Brass Beef Tubes are cheap insurance to increase the durability of your rig, while at the same time improving performance. They add 1.5 ounces of weight per axle, and the weight is held down low to provide a lower CG! Plus, they add strength to the axle housing itself to help prevent snapping the housing in half. 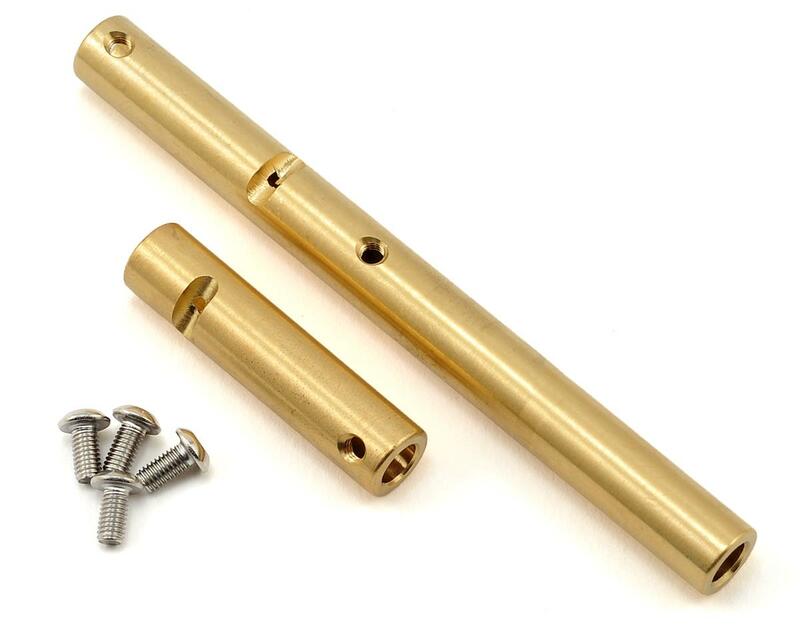 Another benefit is that they give you a solid metal mount for the c-hub screws, instead of the stock plastic that normally holds the c-hub screws and strips out easily. Life saver. I did not plan on installing these just yet, but glad i had them on hand. I ended up smashing the front axle carried on my bomber and cracked the housing a little by the shock mount. I pulled the axle apart and installed the beef tubes to "bandage" the carrier for the time being. very happy with how stout the beef tubes make the axle carriers and the added low weight. I wish i installed these earlier!